The Coen Brothers have become masters at presenting stories that peek into the lives of flawed characters, outlining a capsule of that persons delights and self-crushing failings. Llewyn Davis is a perfect character cut from that cloth, and this film celebrates the Greenwich Village folk music scene in 1961, as much as it shows the dismantling of one man’s broken talent who helps make up that scene. That man, Llewyn Davis, is a jealous, petty, selfish man with genuine talent outweighed by his considerable flaws. He exists inside a tale where his musical dreams may already be dead, but he must undertake his own journey to understand that. Criterion’s treatment of this film on Blu-ray is near-perfection. Plot: A week in the life of a young singer as he navigates the Greenwich Village folk scene of 1961. In the cold, chilly musical scene of Greenwich Village in the early 60s, Llewyn Davis carves out the slightest impact on the scene with his folk music. Unable to break out or get noticed, he bounces around the confining scene without stability. Taking up the couch of friends and peers in the industry he insufficiently appreciates, Llewyn circles the crumbling ground of his musical career. Through a single week, he troubles friends and lovers trying to make it by, takes the opportunity to road-trip to Chicago in search of that next rung, and encounters soul-crushing frustrations and unwelcome introspection on the way. With Inside Llewyn Davis, the Coen Brothers once again frame an interesting story inside the tattered prism of Homer’s Odyssey (a book the brother’s apparently still have not read), and the resulting journey for the self-centered ‘hero’, Llewyn Davis, is finely crafted by these gifted storytellers. A tale of modest tragedy and humor, the Coen’s, directing from their own screenplay, once again find figures of emotional complexity to place inside their relatively simple, focused tale. There isn’t a good deal of ground covered, story-wise, but the mix of interesting characters, with their odd and interesting interactions, and the wonderful musical examination helps define Inside Llewyn Davis as something special. Oscar Isaac has long-been noted for his fine command of the acting craft, but his portrayal of the unlikeable, yet oddly sympathetic Llewyn Davis is a defining performance. Surrounded by a solid supporting cast who, though not as defined as the titular man, shine in their moments as friends and foils along Llewyn’s tortured trail. As Llewyn careens between obscurity and fatal career missteps, using and abusing the kindness of those who to varying degrees appreciate his innate musical talents (including losing, chasing and recovering the cat of close friends), Isaacs digs into the pathos of his character without ever stumbling into melodrama – a gift of both his performance and the winning script with which he works. The journey begins out of nowhere, and by the time we leave him, he is really no further along, but has travelled far to realize that he’s doing nothing but running to stand still. The discovery of his unmistakable talents may forever be hidden, shrouded by the man he is (rather than the man he seems in his music. And therein lies the tragedy of his tale. A collection of terrific supporting performances, led by Carey Mulligan’s no-nonsense but fragile Jean. Adam Driver’s Al Cody, a naïve and awkward fellow musician and Justin Timberlake’s kind and, again naïve and sweet guy Jim stand-out as the uncomplicated good presences in Llewyn’s world, as do Mitch (Ethan Philips) and Lillian Gorfein (Robin Bartlett), an older couple willing to give a couch and endless love and support to Davis, even when he lashes out at them. Perhaps the most memorable of the supporting players is John Goodman, as a foul, drug-addicted jazzman with a lack of tact bordering on sociopathic, traveling with a young, tough poet, Johnny Five (Garrett Hedlund). It’s a terrific turn. Presented in its original theatrical aspect ratio of 1.85:1, Inside Llewyn Davis could not look better. The new digital transfer, created in 4K resolution from the 35mm original camera negative, and approved by directors Joel and Ethan Coen, is delightfully rich, with deep inky blacks and excellent detail. Inside Llewyn Davis is a beautifully and elegantly shot – with cinematography by Bruno Delbonnel (for which he received an Academy Award nomination) – and features a wonderful palette of greys and browns, evocative of a cold New York winter in the 1960s without ever drowning by over-selling it. Criterion’s Blu-ray release is stunning. The fully digital soundtrack, with 5.1 surround audio, was remastered at 24-bit from the original audio master and is sonically rich and rewarding. The several full songs played throughout, in particular the opening song performed in the Gaslight Cafe (“Hang Me, Oh Hang Me”) are warm and especially crisp and focused. Dialogue, mainly in the center channel, is issue free. A superb and informative collection of special features joins Criterion’s near-perfect release. Focused welcomingly on as much the music scene inspiring the film, as the film itself, standout extras include the “Another Place, Another Time” concert, produced by T Bone Burnett and featuring an outstanding lineup of artists, and the impressive audio commentary that lovers of the music will not want to miss. The Greenwich Village found in the Coen’s film is a cold, simple world created with figures of some complexity moving about; a world in which the Coen’s have set their ambling, wandering road to nowhere, and presented as an odyssey filled with eclectic and bizarre individuals along the way. With dashes of absurd humor, but tempered compared to the Coen’s more explicit madness, Inside Llewyn Davis boasts strong performances, both actor and musical, and make this film a fine entry in the Coen Brothers considerable filmography. This is my favorite Coen brothers movie so I'm happy to hear it's a good set. Was at Costco yesterday. Saw this and HAROLD AND MAUDE. Was contemplating one or the other. Walked away empty handed. Will pick up LLEWYN DAVIS on my next visit in two weeks. Just picked this up at COSTCO, not sure I would really enjoy it or not. I am going to give it a spin this weekend and get back to you. 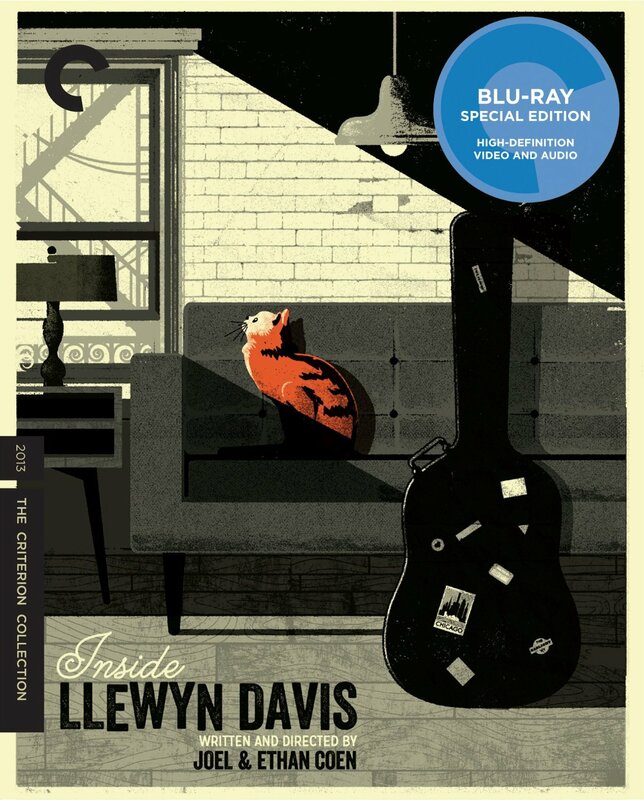 I'm quit happy with my German Blu-ray of Inside Llewyn Davis. Spun this one last night and absolutely loved it. Oscar Issac might be becoming my favourite actor. To pull of the performance here, yet be absolutely convincing in a completely opposite performance on "SHOW ME A HERO", incredible really. EVerything rang true in this one, the humour, the songs, the period and especially the surprisingly difficult lead. Looking forward to watching the concert doc tonight. ^ Small world, I just watched it the night before last. The disc looks wonderful and the movie is even better than I remember. And I agree, Oscar Isaac is great- Inside Llewyn Davis, A Most Violent Year, Ex Machina, Show Me A Hero and even a fun and likable performance in Star Wars.